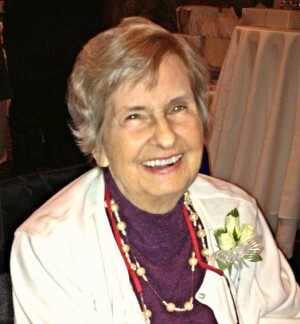 Joan Koenig Colwell, 77, passed away Monday, March 2, 2015 at Bloom Senior Assisted Living in Lakewood. Joan was the loving mother of the late Edwin (Marcia) Colwell, Meg Colwell, David (Toni) Colwell, and Daniel (Patty) Colwell; she was the grandmother of 11 and great-grandmother of 3; Joan is also survived by many family and friends. Memorial Mass 11:00 AM Saturday, March 14, 2015 at St. Mel Church 14436 Triskett Rd. Cleveland, Ohio where the family will receive friends 10-11 AM. In lieu of flowers, memorial contributions can be made to a charity of the donor’s choice. Joan was my dearest friend from childhood and we later connected again in Parma. My deepest sympathy to Meg, David and Danny. May she rest in peace. Aunt Joan was my Godmother, and I have wonderful memories of each and every time I was in her presence. I loved her strong, loving personality, and her smile lit up any room! My heart goes out to my cousins and fellow family members. We love you, Aunt Joan! Sincere condolences to the family. So sorry for your loss, I know that she will be missed. May the memories of Joan help you find peace. You are all in our thoughts and prayers. So many memories of Joan. But today, finally after so much suffering, the peace that she sought after. So happy her suffering is finished and she is home. Blessings and sympathy to her family. She adored each and every one of you. Aunt Joan was an aunt of many & was fun to have a conversation with and be around. We all miss her laugh & presence and are comforted that she’s no longer in pain.Heaven not only gained an angel and soul, but a great spirit & presence. There are many to note, but especially to Meg, David and Dan, – your mother was greatly loved by many. She touched so many lives–and the countless lives touched by those whose lives she influenced! She remains an inspiration to me and her laughter and sense of humor will remain with me until we meet again. So blessed to have had some unforgettable moments with her during her last week. My heartfelt sympathy reaches out to her family. I know the past few years were very difficult for her and you. I hope it gives you some comfort to know how many people she touched with her smile, infectious laugh, spirit and wit. I feel so blessed to have know her as a neighbor and friend, and grateful she is no longer suffering and finally at peace. God bless. Joan, You were one of a kind, your wisdom, honesty, integrity was an example for all of us, Love you and may the peace of the Lord be with you, I can’t wait to see you in God’s Kingdom. My thoughts are with Joan and her family. She was such a beautiful, strong spirit who helped me and so many during troubled times in our lives, and gave us hope and unconditional love and acceptance. God Bless Joan may her spirit be free and live on in the lives of all of those that she helped and inspired. Three years since you went home. Miss you every day but I carry with me all that you shared with me. Thank God for you! Blessings to your beloved family.